The above is rather cute. But it reminds me of something that is despicable. 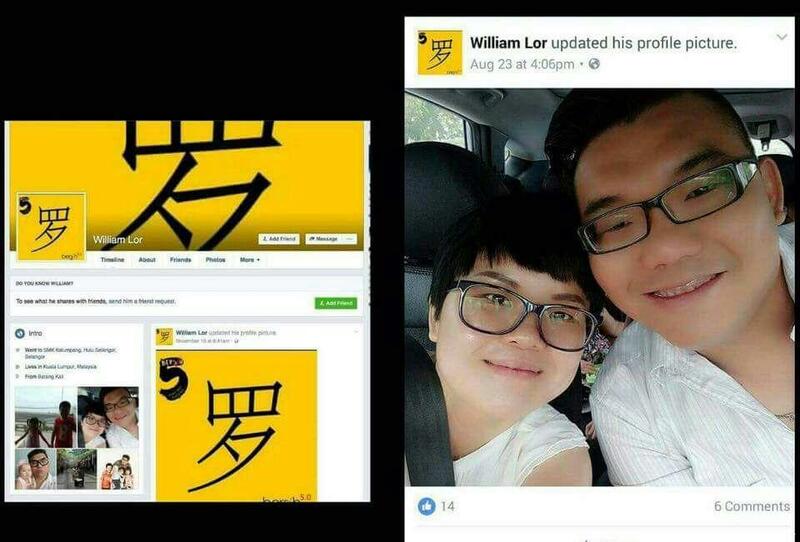 Hew claims to have left the DAP, has never been condemned by the DAP for making racist remarks. He said he resigned all party posts and from the party after he was criticised for making a brief Facebook remark in Mandarin in July, where he asserted that the South China Sea belongs to China and said China should not be opposed merely because one is anti-communist. 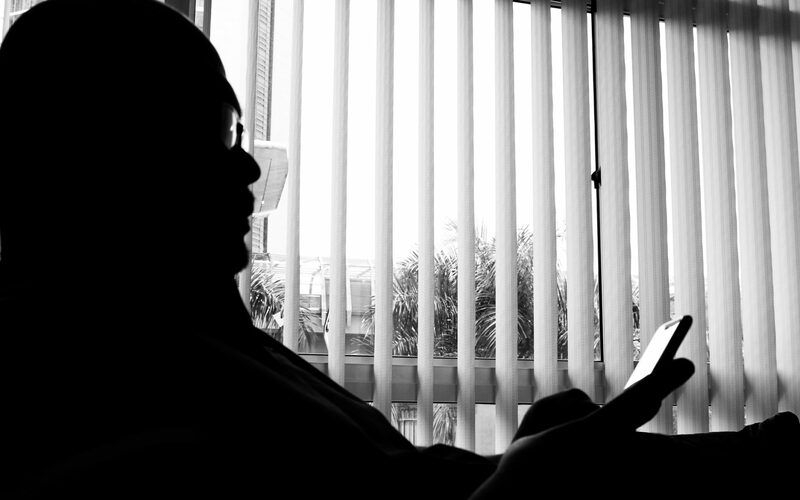 The Malay Mail Online reported that Hew, who said he had joined DAP since the age of 19, recounted all the nurturing and opportunities afforded to him by the party and party veteran Lim Kit Siang, including the drawing of comics, writing statements and training to deliver speeches. This is an admission and evidence that Lim Kit Siang nurtures a new generation of racists in the DAP, and uses Malays to ‘screw the Malays.’ But this is nothing new. When the 3rd General Elections’ results came out for the state of Selangor on the 10th May 1969, the Alliance (UMNO, MCA and MIC) had won 14 state seats. The Opposition which comprised of the DAP, Gerakan and an Independent candidate, won nine, four and one seats respectively, making it a 50-50 win. Supporters of both parties went wild immediately. For two days victory parades were held and racial slurs such as “Death to the Malays! Sakai go back to the jungle!“, “Kuala Lumpur belongs to the Chinese” and “What can the police do? We are the rulers! Throw out all the Malay policemen!“ were hurled at the Malays be they civilians or policemen. That was then, and the following is now. 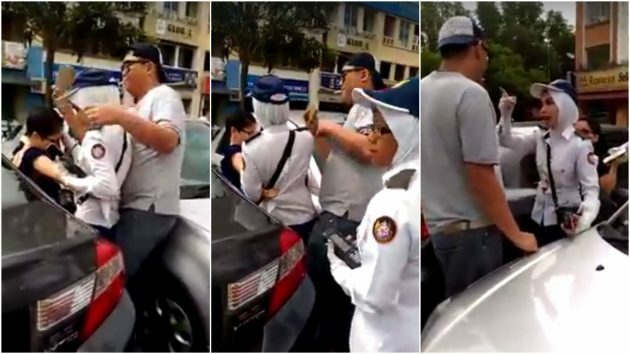 Apparently today, it was reported that a young Chinese, probably attracted to the DAP’s brand of racist politics, displayed his uncivilised DAP-nurtured behaviour outside a mosque in Johor Bahru during Friday prayers. He blared his car’s horn non-stop while the Muslims were praying. I do not condone the mob rule that took place, but neither do I condone the rude behaviour displayed by the Chinese male. Whether that is the true story or otherwise is not immediately known but the video has gone viral on WhatsApp. And because some groups have been actively telling people about “their rights” which could be wrong, more and more people are becoming rude and disrespectful towards the authorities. This guy does not sound Indian nor Malay. In January 2017, a couple who harassed a MBSA parking attendant got their 2-week jail term increased to five months. The couple, known to be supporters of the Opposition, tried to confine the parking attendant by restricting her movements for slapping them with a parking ticket. Such behaviour is seen now, and was seen in the run-up to the 3rd General Elections that resulted in the 13th May tragedy. This is not surprising because this is how lawmakers from the DAP behave towards the law of the land and towards the authrities, the famous one being of DAP’s Member of Parliament for Tanjung Ng Wei Aik who was rude towards the authorities when he refused to pay a RM10.00 parking fee! Wei Aik was once charged for writing a seditious post in a Chinese daily. 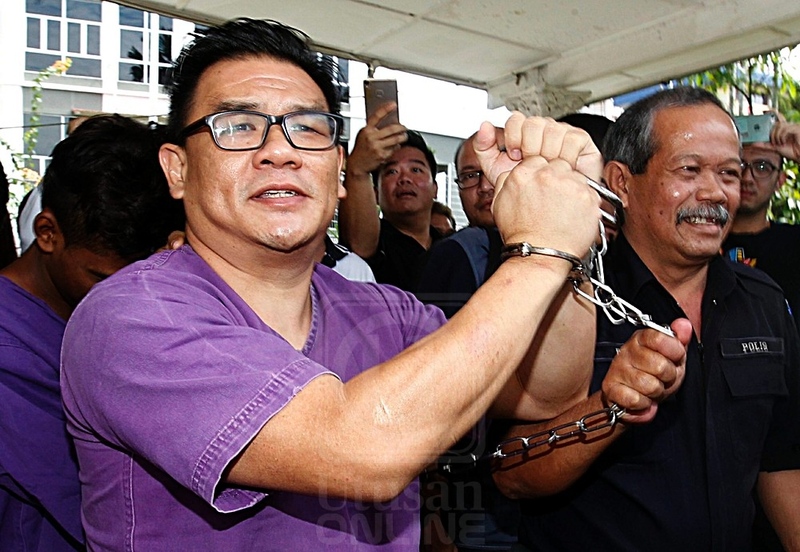 Although he was not found guilty, the fact that he skirts around the definition of sedition shows the true nature of the DAP. This is how uncivilised the DAP and their supporters are. While many Malaysian Chinese prefer peace and prosperity for all, DAP and its supporters prefer tension to be created so that if racial clashes happen, they can cry foul and blame the Malays for being oppressive. So remember, do not vote for the DAP if you continue to want unity, peace and prosperity.